We're all busy as bees in the kitchen right now but tomorrow ... there'll be leftovers! Here's my favorite way to use up leftover Thanksgiving turkey. 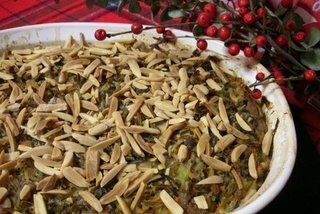 It's this week's Kitchen Parade column, a turkey and wild rice casserole topped with almonds. If you're feeling festive, throw in a few dried cranberries. Not in the mood for a casserole? How about turkey soup? !